Disorders that fall under the category of anxiety can be complex and include different subcategories of mental health problems that are all related to anxious behavior. Obsessive-compulsive disorder is a type of anxiety disorder that centers around compulsive thoughts and actions that begin to take over a person’s life. OCD is one of the most difficult illnesses to live with because it involves obsessive and uncontrollable behaviors that make it hard to complete normal, everyday tasks. 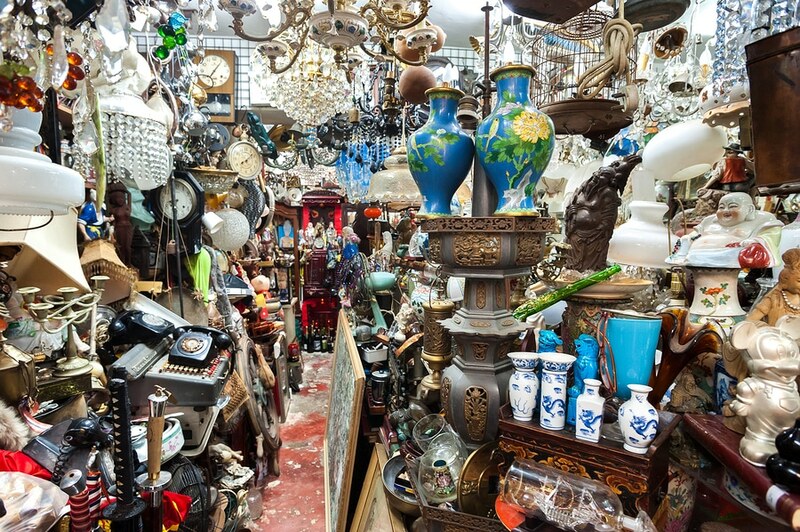 A subset of OCD comes form of a compulsive disorder commonly known as hoarding. People who suffer from obsessive-compulsive issues may find it hard to throw away or discard a large number of their personal items and possessions. Hoarders tend to collect more and more possessions over time to the point where they may begin to endanger their own health and safety. Hoarding is a type of anxiety disorder because individuals with the illness are unable to discard things they own because of an intense fear of what will happen. They might imagine that something bad or catastrophic could occur if they get rid of certain items or they might have a feeling of incompleteness without their possessions. A hoarder may have an intense desire to document and preserve all their life experiences such as keeping all their childhood toys. People with OCD-related hoarding may also struggle with fear of contamination which can prevent them from discarding items. They may feel that they can’t touch certain items in their home because of contamination and cannot throw them away as a result. They also might end up acquiring excessive items because they have touched them and do not want to contaminate others. The main characteristic of hoarding is an intense fear and feeling of anxiety any time they are faced with prospect of discarding old items in their home. Because of their fear it becomes easier not to discard anything and just leave everything the way it is. This fear can be so overwhelming that they live homes where they can barely walk through rooms because so much has accumulated over the years. -saving useless items such as newspapers, magazines, old food, broken items etc. The difference between hoarding and collecting is that hoarders have difficulty organizing their items and allow clutter to accumulate throughout their home. They may also feel a sense of shame about their hoarding behavior whereas a collector will feel pride in organizing and displaying the items they possess. Hoarders also experience a diminished quality of life often putting themselves in unlivable conditions due to their disorder. Treatment for hoarding can often be challenging especially if the individual is not able to recognize the negative impact that it is having on their life. However, it is possible for people to recover from hoarding disorder and find ways to make their home more livable through managing the anxiety that they feel in order to organize and discard items. The main type of treatment for hoarding is psychotherapy, sometimes combined with medication to help minimize symptoms. Cognitive behavioral therapy is the most effective way to treat hoarding because it helps patients challenge the thoughts and beliefs that cause them anxiety in relation to their possessions. It can also help them start to resist the urge to buy more items, learn how to organize the items they have and improve their decision-making skills. Hoarders also benefit greatly from having in-home visits from their therapist or a professional organizer who can help them start to de-clutter their home. People with hoarding issues might improve their condition by attending both individual and group therapy sessions. Group meetings will allow them to reduce their isolation and increase social involvement with other people. Their interactions with others can help them minimize their anxiety and gain more perspective on their compulsive behaviors and how they affect themselves and others. If you or someone you love has issues with hoarding then reach out for help from a qualified psychotherapist or a treatment center that specializes in caring for people with this disorder.